One Naughty Dog developer argues that The Last of Us was never about Joel, nor was it about Ellie - it's about depending on someone. The Last of Us was very well-received at launch, but some people still had complaints (as people so often do). In particular, one cutting review from the New York Times criticized the game for downplaying its female characters and telling another story "made by men, for men and about men." Looking back, Naughty Dog developer Alexandria Neonakis decided to revisit that review in an editorial piece defending the game - and the role that she and her female peers played in creating it. Minor spoilers below. 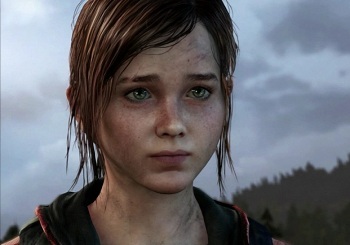 "Ellie's power comes from her bravery, ingenuity and determination throughout the game," Neonakis writes. "It was also shown in her ability during the game's final moment to accept Joel for all of his flaws and forgive him, because she understood that he needed her more than she needed him. She was ultimately the hero of this story. She's powerful the whole time, and it had nothing to do with wielding a gun or physical ability. In an industry that more often than not represents women as either a damsel in distress or a male character in a female body, this was a triumph in storytelling and representation." "Her journey from a damsel in distress to a fully capable and complex character is made clear through the relationship she develops with Joel," she continues. "Likewise, Joel's growth could not have happened without Ellie. This was not a game 'about men.' It was about a mutual relationship and about how people need one another." Naughty Dog is currently working on Left Behind, a single-player DLC storyline starring Ellie and her best friend Riley before the events of The Last of Us. That friendship is bound to be a very different kind of relationship from Joel and Ellie's, so we'll see what other themes Naughty Dog decides to explore.